The dams and reservoirs of the Elan Estate are situated within an area of outstanding scenic beauty. Explore this stunning area along the well-marked trails suitable for walkers and mountain bikes. For those interested in the history of the dams there is an interesting exhibition in the visitors centre at the entrance to the valley. The dams were originally built to provide water for the growing town of Birmingham in the 19th century. 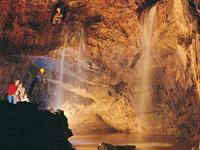 These unique gold mines are set amid wooded hillsides overlooking the beautiful Cothi Valley. The Romans who exploited the site almost 2,000 years ago left behind a complex of pits, channels and tanks. Mining resumed in the 19th century and continued through the 20th century, reaching a peak in 1938. Guided tours take visitors through the Roman and the more recent underground workings. The main mine yard contains a collection of 1930s mining machinery, an exhibition about the history of gold and gold mining, video and interpretation. Gold panning gives visitors the opportunity to experience the frustrations of the search for gold. Other attractions include way-marked walks and picnic areas. The Gold mines are approx. 30 mins drive from the cottage. Land of power and influence for more than 1,000 years, Dinefwr Park and Castle is an iconic place in the history of Wales. Dinefwr Castle, which is where the Lord Rhys, Prince of Deheubarth held court, overlooks the superb 18th-century designed landscape and Newton House. The ground floor and basement of Newton House are furnished c.1912 and there is a new exhibition on the first floor which tells visitors about Dinefwr's past. Visitors will be inspired to explore the park, home to more than 100 fallow deer and a herd of rare White Park Cattle. 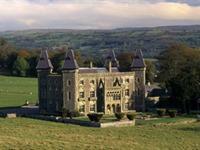 Dinefwr Park and Castle is 30 mins drive from the cottage. One of the most spectacularly sited Welsh castles is Carreg Cennen. Spell-binding views are waiting to be experienced from the sharp hilltop upon which the castle sits. The story of Carreg Cennen Castle is a long one, going back at least to the 13th century. Although the Welsh Princes of Deheubarth built the first castle at Carreg Cennen, what remains today dates to King Edward I's momentous period of castle-building in Wales. Carreg Cennen Castle is 35 mins from the Cottage. The National Botanic Garden of Wales was the first national botanic garden to be created in the new millennium. This year is its eighth birthday. 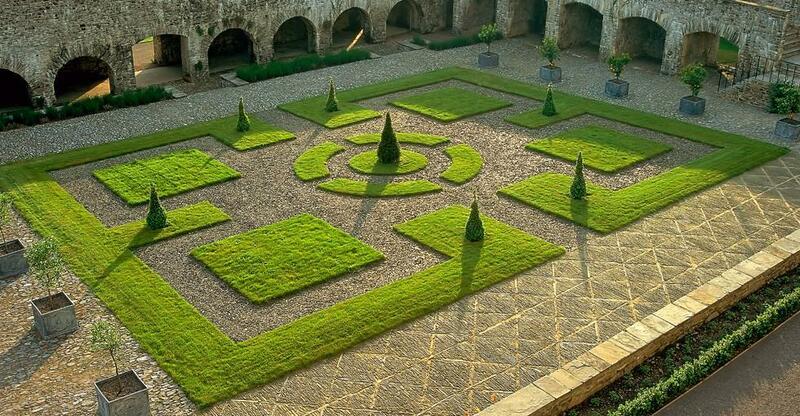 In such a short time, it has developed into one of the most fascinating gardens in the UK. Already it is the most visited garden in Wales and home to the largest single span glasshouse in the world. The Gardens are 50 minutes’ drive from the cottage. If you are travelling along this line for the first time, you will be impressed. Seasoned travellers will need no reminding of the rugged beauty, tranquil villages and picturesque Victorian spa towns that are dotted along one of the most scenic lines in the United Kingdom. For 121 miles between Swansea and Shrewsbury, a feast of panoramic views includes the beautiful Loughor estuary near Llanelli, the meandering river Tywi between Llandeilo and Llandovery, red kite in the skies above the Eppynt hills near Llanwrtyd Wells, the Radnor Forest between Llandrindod Wells and Knighton, and the remote borderlands of the English Marches. 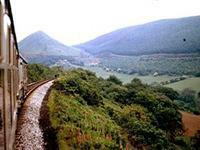 Llanwrtyd Wells Station is 1.5 miles from the cottage. Spectacularly set in the beautiful Tywi valley of Carmarthenshire, Aberglasney House features one of the finest gardens in Wales. Aberglasney Gardens have been an inspiration to poets since 1477. The story of Aberglasney spans many centuries, but, the house's origins are still shrouded in obscurity. Aberglasney and its gardens are being restored back to its earlier glory. They are 40 mins from the cottage.